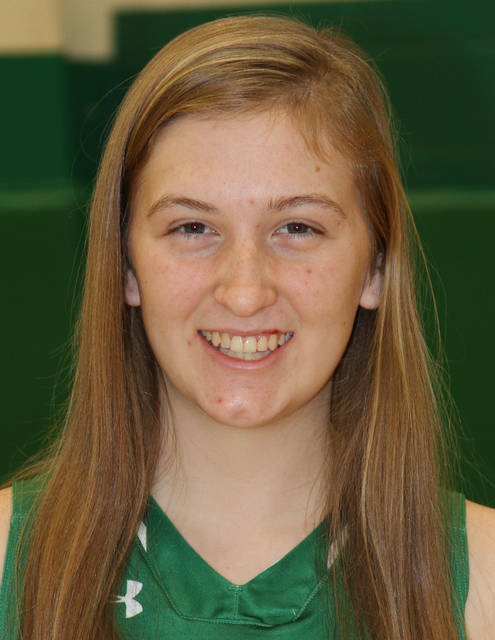 ANNA — Anna took control by halftime and cruised to a 54-31 home Shelby County Athletic League win on Thursday, which sets up a showdown at Fort Loramie on Saturday. Lauren Barhorst scored seven of her game-high 17 points in the first quarter to help the Rockets take a 13-7 lead. Anna then used a 14-6 scoring advantage in the second to take a 27-13 lead and cruised in the second half. Kiplyn Rowland added 15 points for Anna. Laurissa Poling led Russia with 16 points while Jenna Cordonnier scored eight. The Rockets will travel to Fort Loramie on Saturday in a game that has first place in the SCAL on the line. The Redskins, which were idle on Thursday, are in first place in the league with a 10-0 record. Anna is second at 10-1 and Russia is in third place with a 7-4 record. A big second quarter helped Botkins take control and beat Fairlawn in a home SCAL game on Thursday. The Trojans led 11-9 at the end of the first and used a 12-4 scoring advantage in the second to take a 10-point halftime lead. Botkins led 43-34 heading into the fourth. Makenna Maurer led Botkins with 14 points while Carmen Heuker scored 12. Six other players scored for the Trojans. Lonna Heath led the Jets with 17 points while MaCalla Huelskamp scored 16 and Lauren Dudgeon added 10. Fairlawn shot 15 for 32 (46 percent) from the field. The Bluejays outscored New Bremen 24-12 in the fourth quarter to rally and earn a Midwest Athletic Conference win on Thursday in Delphos. St. John’s took a 15-8 lead by the end of the first quarter but New Bremen used a 23-11 scoring advantage in the second to take a 31-26 halftime lead. New Bremen led 44-38 heading into the fourth. Madison Cordonnier led New Bremen with 22 points. Sidney’s boys and girls bowling teams lost in a match at Troy on Thursday. The Yellow Jackets boys lost 2,436-2,406 and fell to 10-5 overall and 7-5 in Greater Western Ohio Conference American North Division play. Harrison Fisher had a 437 series, Jaxon Rickey had a 417 series and Logan Finke had a 395 series. Sidney’s girls lost to Troy 2,272-1,599 and fell to 4-11 and 3-9. Camryn Smith had a 298 series, Sarah Bell had a 288 series and Cassie Trudeau had a 268 series.